For the second time running, rumours of Apple refreshing its 4 inch smartphone line have started to bubble. Everyone and their dogs are pretty much certain that Apple is going to do so and they are right but they could be wrong. Everyone backing this 4' iPhone 7(5se) rumor pretty much assumes that there is a sizabke demographic that absolutely hates that the iPhone is now bigger and are in the market for something smaller. 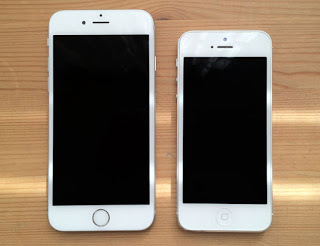 While it is undeniable that there are people that crave for the more hand friendly size of 4", I really doubt that there is enough of those people to justify the R&D necessary for an upgraded iPhone 5S. If Apple does decide to make a 4' iPhone 7, It would be doing so based on these reasons. I. That it's selling a sizeable number of the iPhone 5S presumably at least making up to 20% of the total quarterly iPhone sales in North America, Europe and China. 2. People are returning their iPhone 6, 6S, 6 Plus and 6S Plus in exchange for the dated iPhone 5S in sizeable numbers. Unless these two conditions hold, I really dont see Apple investing more money into refreshing a 4' iPhone, especially when it is against the general trend in the smartphone market. Apple is a very conversation brand, and isn't known to take risks. So I don't see Apple doing this. But then again, I might be out of my depth here.